External costs are huge and growing larger. Historically, manufacturing and industrial corporations, corporate farming, city sewer systems, and other culprits have passed the costs of their activities onto the environment and third parties. 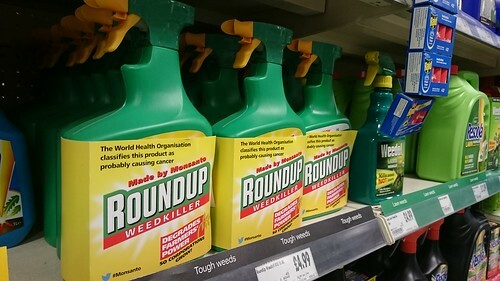 Recently, there has been a spate of reports with many centering on Monsanto's Roundup, whose principle ingredient, glyphosate, is believed to be a carcinogen. A public health organization, the Environmental Working Group, recently reported that its tests found glyphosate in all but 2 of 45 children's breakfast foods including granola, oats and snack bars made by Quaker, Kellogg and General Mills. In Brazil tests have discovered that 83% of mothers' breast milk contains glyphosate. The Munich Environmental Institute reported that 14 of the most widely selling German beers contain glyphosate. Glyphosate has been found in Mexican farmers' urine and in Mexican ground water. Scientific American has reported that even Roundup's "inert ingredients can kill human cells, particularly embryonic, placental and umbilical cord cells." In the case of glyphosate, the tide might be turning against Monsanto/Bayer. The California Supreme Court upheld the state's authority to add the herbicide glyphosate to its Proposition 65 list of carcinogens.